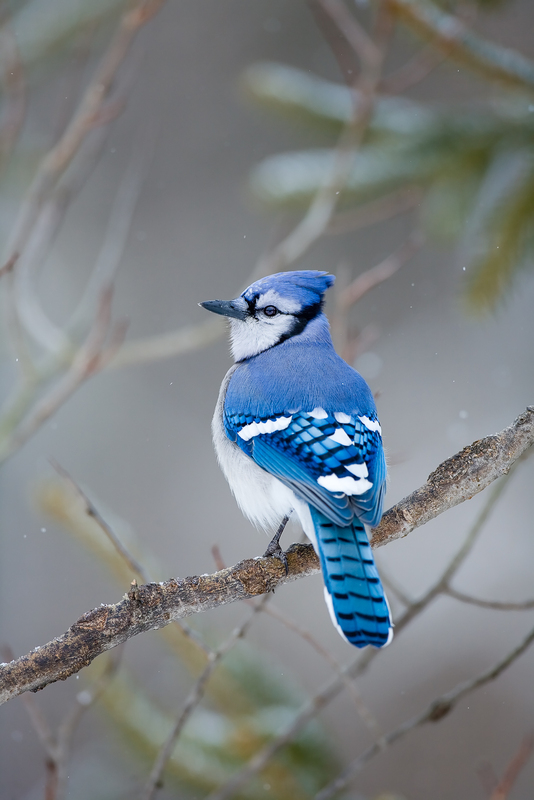 Blue Jays are known for their loud calls and being one of the larger song birds. This one pauses on a branch during a cold February morning. Photo © copyright by Lance B. Carter.